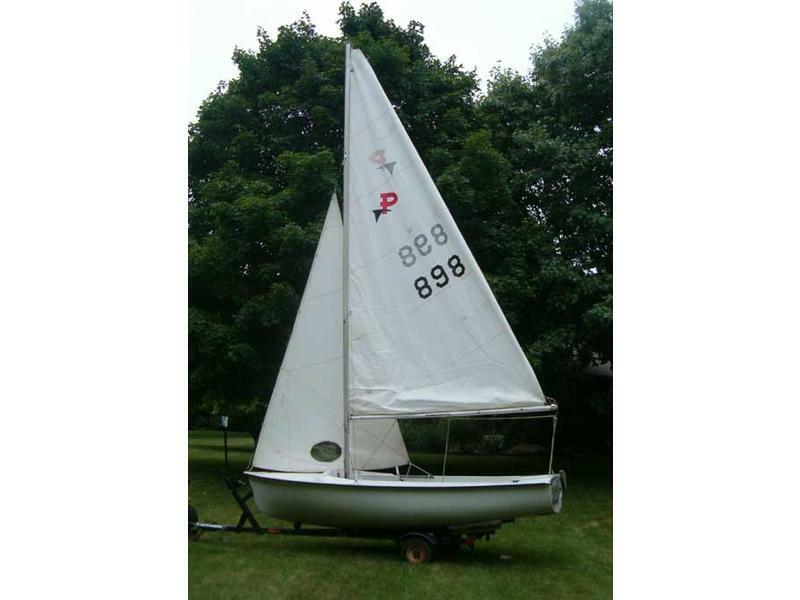 new components, New lines, Remoded tiller with grip, and a Galvanized Sailboat Trailer. It needs cosmetics done. Other then that it is a great starter boat.